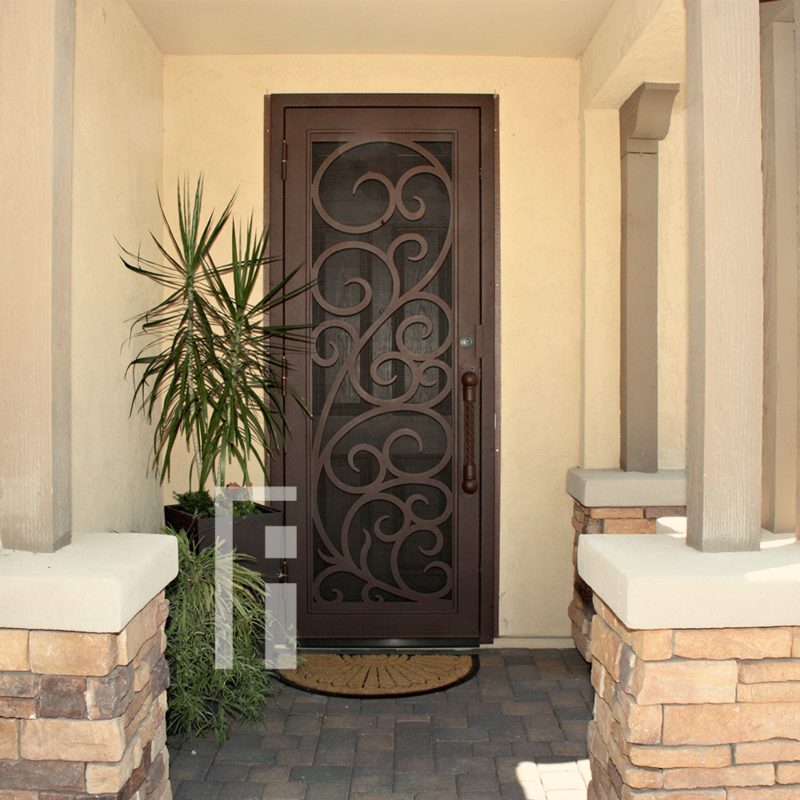 An Iron Security Door from First Impression Ironworks will create a beautiful entry way for your Arizona home while providing the highest security of any screen, storm or security door. Our steel security doors are an investment that will add value to your home, since it will be custom built to your home’s specifications and made from the highest quality materials. Our wrought iron is sourced here in the U.S.A., using only 100% American steel. Every iron security door from First Impression is crafted from the strongest, most robust 14 gauge steel for the door, full steel frame, iron pull handles, and even a 10" steel latch and lock guard. 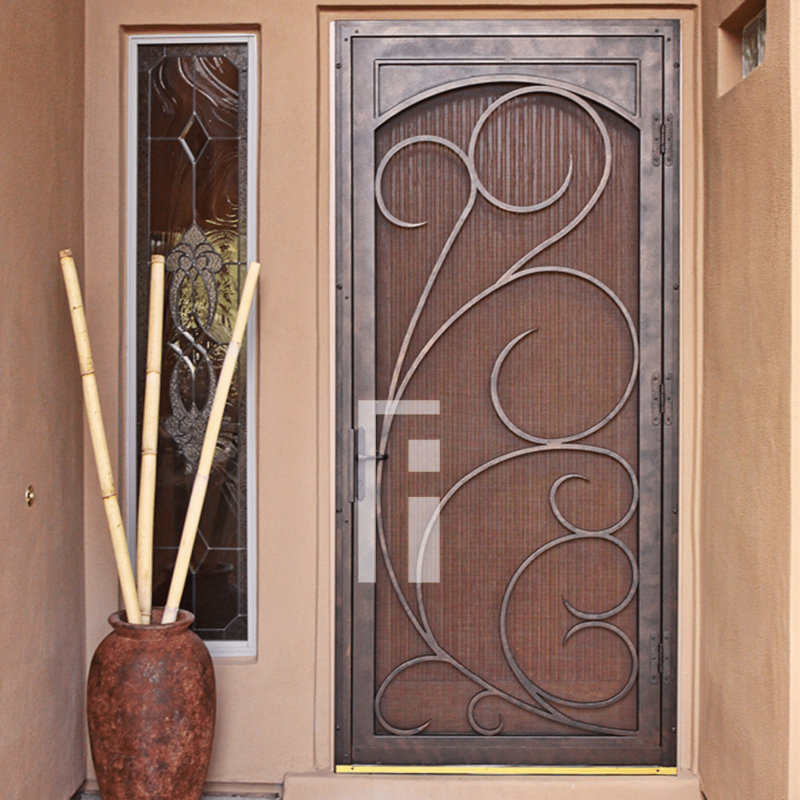 Each wrought iron door, whether made of solid steel, iron and glass, or wrought iron and wood, is handcrafted in Arizona from by our talented iron artisans. 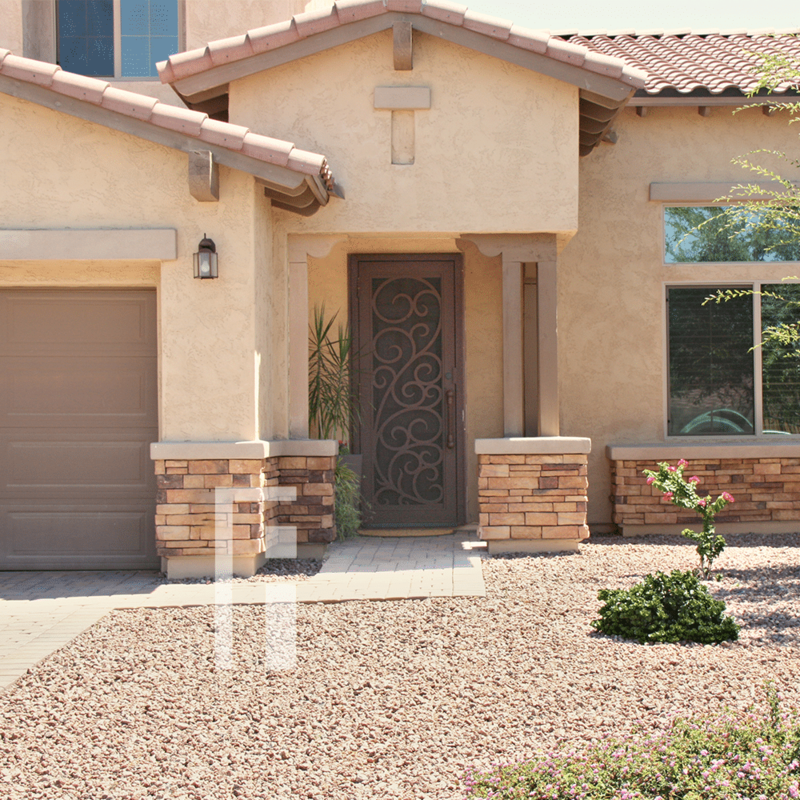 Name brand Kwikset or Schlage hardware is always included, and your new front door can be upgraded with to include an integrated alarm and monitoring systems using the latest technology. 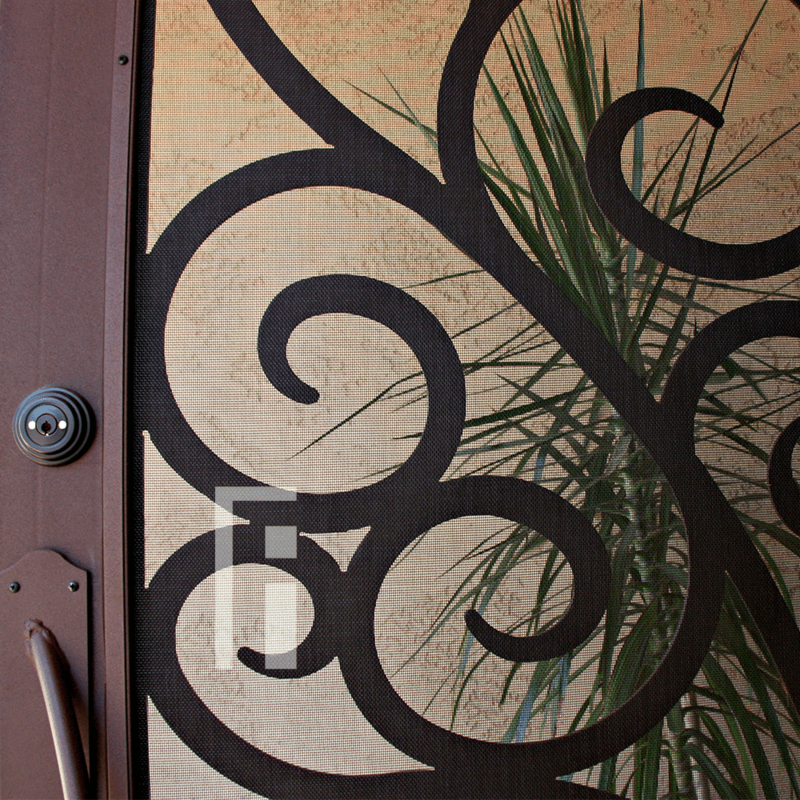 We can even create your new iron security door with kick plates, removable sunscreens with powder coated steel frames, sidelights, transoms, and elegant iron pull handles. 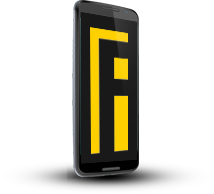 We’re here to bring your dreams to life with customization available for whatever needs fit your home and your budget. Create the first impression you’ve always wanted for your home today with your vision and our expertise!